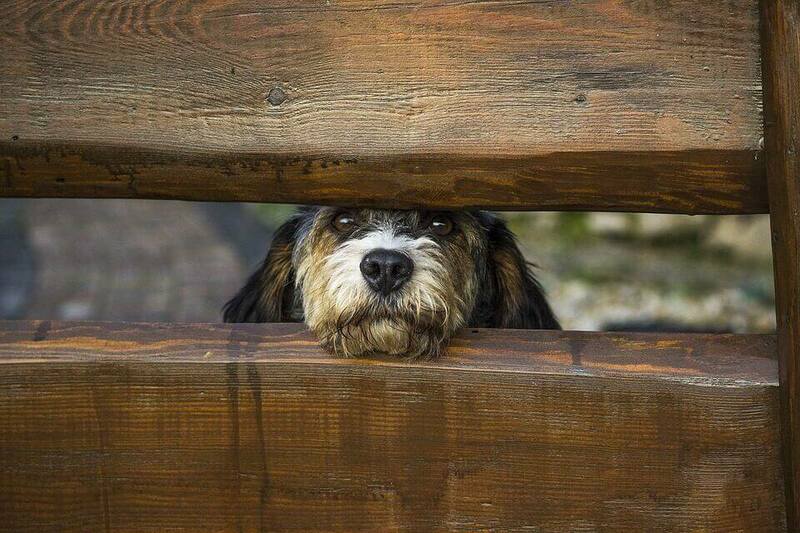 Below we have selected and reviewed what we believe are the three best fences for you and your pup. Make sure to read reviews of each product before purchasing to see what others have said and how well they are working for them. It seems that nearly every staple of 20th century life has been drastically changed or completely replaced in this century, because of technological advances. Phones have become entertainment devices, mail has largely been supplanted by email and texting – and the time-tested wooden barriers which keep your pet in your yard are increasingly being replaced by wireless dog fences. If you’re ready to take a 21st century approach to pet enclosures, here’s a guide for choosing the best product. Before you get to the point where you’re wondering how to install a wireless dog fence, consider what we have here to get the right invisible fence for you. For centuries, dog owners have used wood (or wire) fences to prevent their dogs from running off after cars, squirrels, birds – or just about anything else. There were no real, practical alternatives. However, wireless dog fences are now not only widely available, but just as effective as traditional fences. The real question isn’t why you should choose a wireless fence, it’s why anyone would still want a wooden one. Why choose a wireless system instead of a wood fence? They are much cheaper than having a traditional fence built. They don’t impede the view from your property. If you purchase a battery-powered system, you can take the fence with you on camping trips or vacations. Installation is far easier than with a wood fence. portable is a serious added benefit. adjustable range to keep your dog safe. 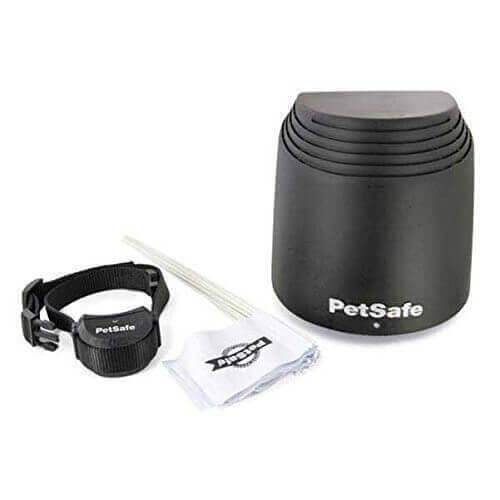 Petsafe’s Wireless Pet Containment System includes the flags you need to train your dog the fence boundaries. 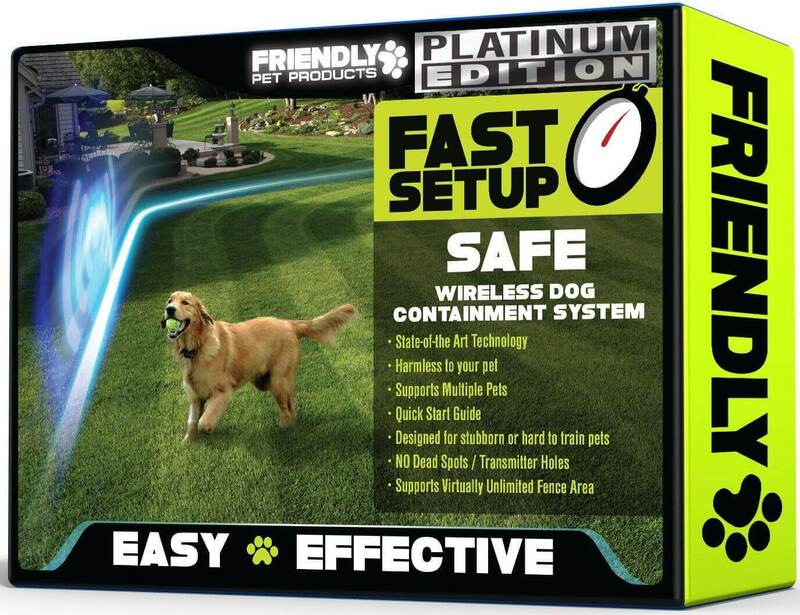 We’ve used Petsafe’s wireless fence ourselves and have been very happy with the ease of use. Most of us at Animal Hub have used at least one PetSafe product with our dogs. One of the things we really like about PetSafe is that they have customer care specialist available six days a week. Often times, manufacturing brands like this don’t offer great customer support. We like that you can call, chat or email with a specialist. As long as your pet weighs at least 8 pounds, this wireless fence should work for your dog. The collar is easily adjustable and goes down to 6 inches up to 28 inches. If you live in a home with more than one dog like many on our team here, this is a pretty good bet for you. Petsafe’s fence can have an unlimited number of dogs added to it so long as they are wearing a receiver collar that is made for Petsafe’s wireless fences. How do electronic fences work? If you’re new to the electronic dog fence concept, it is important to understand how the technology works. That knowledge will allow you to choose the best product for the characteristics of your property and your pup. Most people are under the impression that a wireless fence creates an electrical ring around a yard, much like one would find with an electrified fence around a prison. Fortunately, these fences are much different; they’re certainly not brutal or even dangerous. Quality wireless dog fencing works through a boundary monitoring system. While products differ slightly, all contain a transmitter unit and a receiver for your dog’s collar. The transmitter is often hung on an exterior wall near the mid-point of the yard. You then determine how far away the invisible fence will be positioned, by using a switch on the transmitter. The average wireless system will allow you to set up a fence from 30 to 150 feet across. 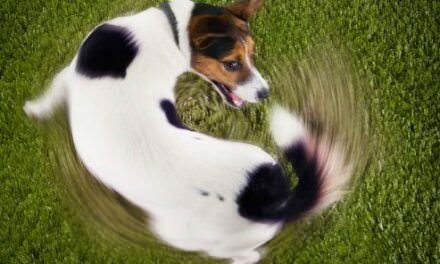 The wireless system works through two processes to keep your pet from running out of the yard. The first involves a beep. As your dog approaches the outer limit of the designated area, the receiver on the collar will beep. If he continues to walk through the fence line, a tiny shock is delivered through the collar. When combined with training, the beep and shock approach should be enough to motivate your dog to turn around and return to the “fenced-in” area of the yard. The phrase “electric shock” suggests a form of punishment, but that’s not the type of “zap” that good wireless dog fences deliver. It’s really the equivalent of the shock you get from static electricity. Especially on lower levels, it simply captures your attention but doesn’t cause any harm. That is exactly what your dog feels with an electronic fencing system. The small shock is used solely to remind the dog where it should be staying. Of course, your pup is not magically going to understand how the wireless pet system works. A beep and shock are meaningless if no context is provided. To provide that context, a bit of training is required on your part. We’ll cover that later in this article. The point to understand here is that your dog will learn he’s in a forbidden area when he hears the beeping noise. If the pup continues to move forward, the shock is used to give him a more reminder that it’s time to turn around and go back to the designated area. One wireless electric dog fence may vary from the next in an important way, since there are two basic types of units. 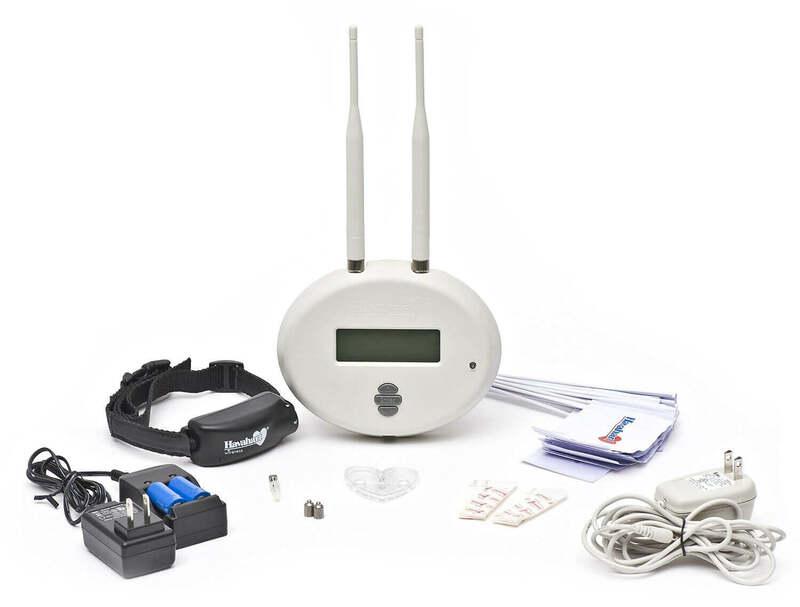 The first is a truly wireless system in which a transmitter sends wireless commands to a receiver on the collar of your dog. This version is the classic system, and the one on which this article focuses. You may have noticed from a few wireless fence reviews, though, that there is a second type of “wireless” fence system which actually uses wires. They’re placed roughly three inches underground, along the boundary of the area you want to enclose. An electrical line is then run from this boundary wire to the transmitter, so the entire system is electrified. If your dog gets to close to the boundary, the collar will start beeping. If the dog moves to cross the fence line, it receives a shock to modify his behavior. Why are there two different types of fence systems? That question can be answered in one word: size. A traditional wireless system can only cover a limited space. If the enclosed area is more than two acres square, the system is susceptible to blind spots. As you will read in numerous wireless pet fence reviews, it is a good idea to use an underground wire system for any enclosures larger than two acres, although you should always check the specifications and recommendations for the specific product you are purchasing. Of course, you can use an underground wireless system in your yard, but bear in mind that you’re going to have to dig a pretty long trench, even for a moderate-sized yard. 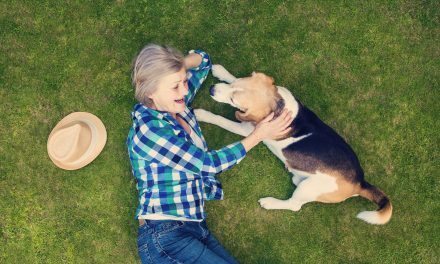 Most dog owners prefer to simply go with a true wireless system for reasons of convenience; today’s models can be set up in a matter of minutes. As with any product, wireless pet fences come with a wide variety of features. Here are five you need to understand and compare. 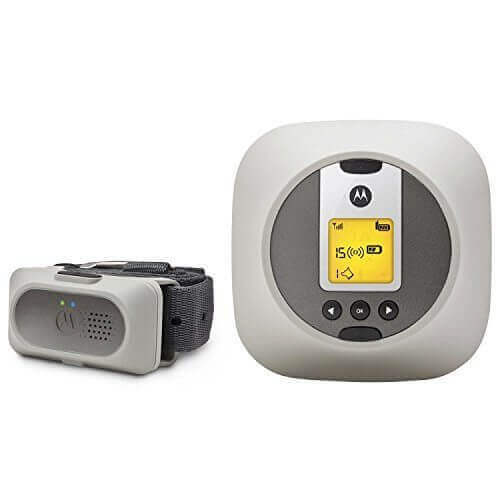 Most wireless dog fence reviews will imply that you just plug in the transmitter and you’re good to go, but the truth is that there are also batteries to consider. The receiver on the dog collar requires batteries to function unless you can think up some way to hook the collar up to a really long extension cord – which we certainly wouldn’t recommend. The cost of batteries can quickly spiral out of control. To avoid spending a fortune, make sure you select a system which runs on rechargeable batteries. Buy a couple of sets and you will save thousands of dollars over the life of the system. Bigtime dog lover? Own more than one? Roughly half the wireless fences on the market are designed to accommodate an “unlimited” numbers of dogs, but the other half can only process signals from two dogs at most. Obviously, this limitation presents a problem if you have three. If you have a small herd of puppies, make sure the system you are considering is designed to handle that many. You should also pay close attention to the number of receivers and collars provided with the product. You may need to buy additional receivers. Thecorrection function of the wireless fence system – that is, the ability to change the beep and shock elements – must also be taken into account. 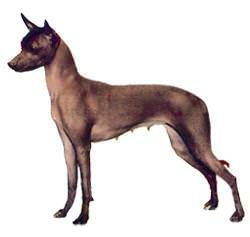 Your goal should be to choose a product which provides a wide range of options because every dog is different. One might react properly to the lowest shock level setting while another pup might need a shock setting three times higher before it even notices anything. 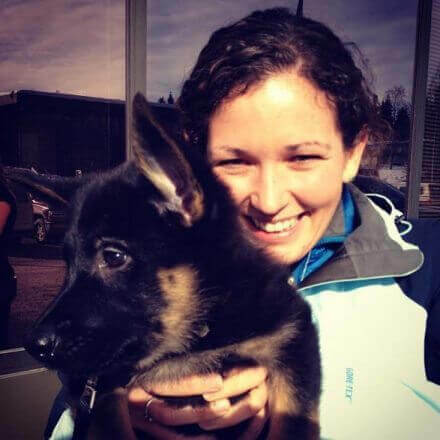 There is no way to evaluate this ahead of time, so buying a system that provides plenty of adjustments gives you the ability to handle just about any dog’s sensitivity. You must consider the weight of your dog. The issue is actually not how big your pup is, but how small. 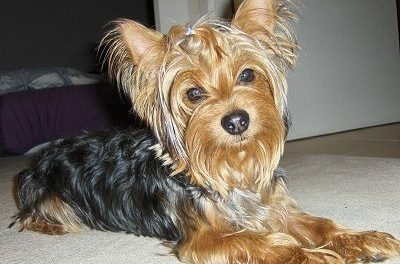 Certain breeds are so small that the shock could be damaging to their health. There is also a potential problem with the sheer weight of the receiver hurting the dog’s neck. Inspect each fence system you’re looking at for recommendations on minimum age and size, to ensure the safety of your pet. Rangeis another feature you need to take into consideration with fencing options. Certain products are designed to cover the size of an average backyard, while others can cover the larger areas found in rural settings. Generally speaking, you want to select a fence system which covers an area a bit larger than you need so you have flexibility to play around with the settings. means you can take it anywhere! “Some assembly required” – no phrase puts more fear into a consumer. But the good news when it comes to wireless electric dog fences is that installation is not complicated at all. If you can put a plug into an electric outlet and use a screwdriver, you should be able to get your wireless fence up and running without a problem. There are four basic steps to installing your system. The first is locating a centralized place where you can mount the transmitter. It should be close to an electric outlet, while roughly equidistant from each boundary of the area where you want the dog to stay. Most transmitters will come with a wall mount you can use to secure the device. It is highly recommended, though, that you don’t attach the wall mount until you’ve tested the system, so you can be sure everything works as desired with the boundaries you’ve chosen. Once the transmitter is plugged in, it is time to define the location of the fence. You can do this alone, but it is much easier to have help. The transmitter will have a dial you adjust to move the fence line. Decide approximately how many feet from the transmitter you want the fence line to be placed, and then walk around the yard with the collar (or have your helper do it, so you can adjust the transmitter dial as needed) and listen for the warning beep to make sure the target area is fully covered. If everything is okay, you can attach the wall mount. 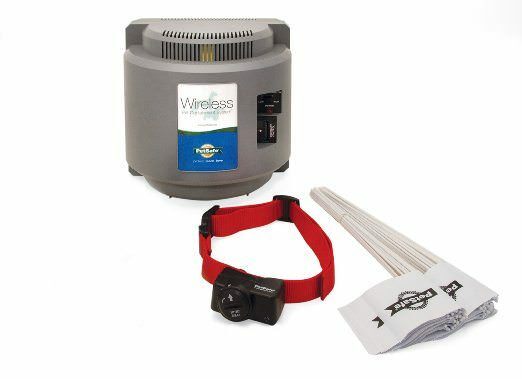 Visual representations help dogs process the location of wireless fences, and your unit should come with a number of flagged stakes to help. After you’ve adjusted the fence to the desired location, take time to mark the fence line with the stakes. This will help your dog recognize and adjust quickly to his new boundaries, since he’ll associate the stakes with beeps and shocks. Teaching your dog to heed the boundaries of a wireless fence system might sound difficult but it’s actually fairly simple, particularly if you’ve previously trained your pup to follow commands. Now it’s time to ramp up the training. Turn on the wireless fence. Walk toward a stake at the boundary with your pup in tow. When the collar beeps, turn back and reward the pup for good behavior. Once your dog has gotten the idea, walk him beyond the boundary a few times so he receives a small shock, and then return to the center of the yard for a treat. After a few days, your pup should be ready to be left alone in the designated area.